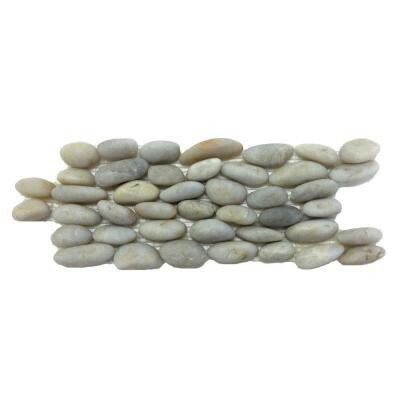 Available as polished or honed pebbles, Anatolia pebbles add earthy elegance to indoor and outdoor spaces. Each mesh-mounted mosaic is available with interlocking edges to create a seamless installation. The organic nature of this material makes it ideal for water features, pools, spas and other outdoor living environments. You can buy this product in our internet market. We will be glad if you make the right choice. 6 square feet, 18 pieces per case. Case weight is 54 lbs. Slip resistance/coefficient of friction rating: Wet and Dry=.50 which is marginally skid resistant and appropriate for light commercial applications. For indoor or outdoor use.